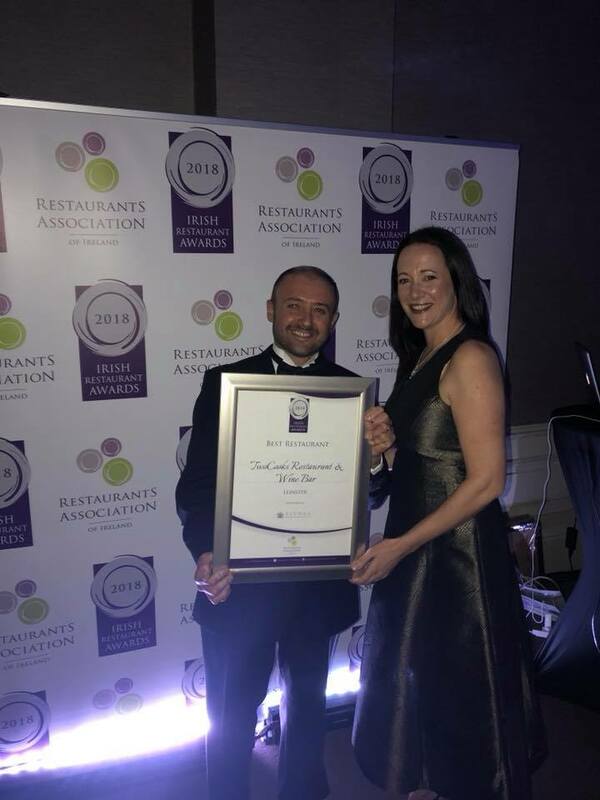 There was success for one Kildare shortlist at the All Ireland Restaurant Awards 2018. TwoCooks Restaurant & Wine Bar in Sallins scooped the award for Best Restaurant in Leinster. The ceremony was held last night, May 14 at the Clayton Hotel, Burlington Road. Etto, on Merrion Row in Dublin 2, was named Ireland’s Restaurant of the Year 2018.